Another good one from Keep On Bricking, this time learn how to make a custom LEGO MOC of a Classic Cabriolet Car (cabrioet is just a fancy word for convertible), using parts from the LEGO Creator Fast Car (31046) Kit. 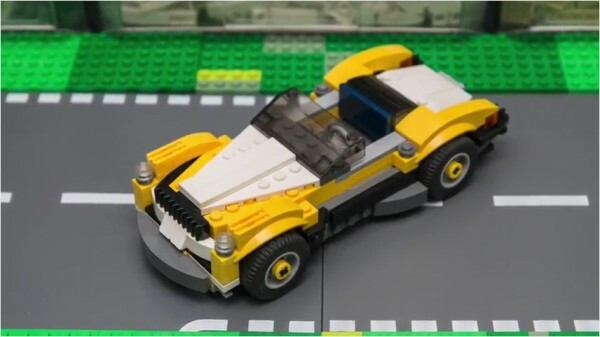 This short video tutorial, almost four minutes in length, features a short intro before showing how the designer built the custom LEGO Cabriolet Car MOC from the original LEGO Creator Fast Car (31046) kit. Once again, the creator, p-sprogis, was even thoughtful enough to upload the parts list to Rebrickable to make it easier to find the right parts and follow along! This build very much reminds me of an antique open-air cruiser from the 30s or 40s. Buy this kit from amazon through the link below and build your own! Don’t forget to check out and subscribe to Keep on Bricking on YouTube and also at #keeponbricking at Instagram. Hit the open road with this awesome sports car, featuring a cool yellow, white and black color scheme, huge spoiler, stylish rims with low-profile tires, opening hood and a detailed engine. Open the scissor doors, get behind the wheel, fold down the roof and enjoy the sunshine while you put this amazing vehicle through its paces! 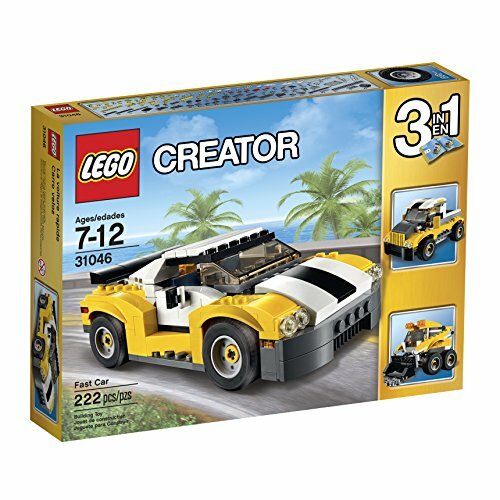 This 3-in-1 LEGO Creator car toy rebuilds into a pickup truck or a skid loader.